We are pleased to invite You to the doctoral seminar that will present some different approaches to the study of costume within doctoral dissertations. 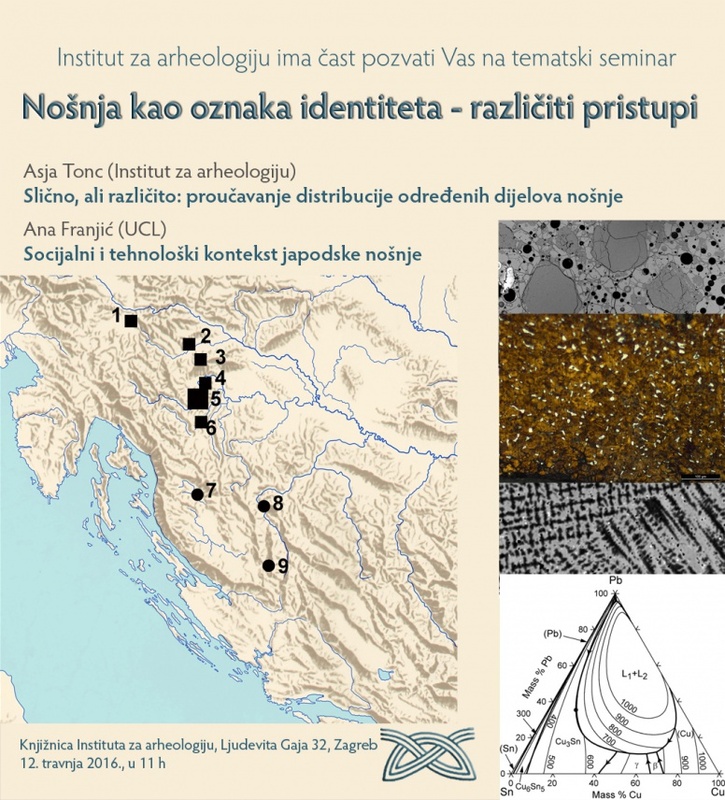 The first topic entitled „Same, but different: analyzing the distribution of specific dress elements“ will be presented by Asja Tonc (Institute of Archaeology). The presentation entitled „Social and technological context of Iapodic costume“ will be held by Ana Franjić (University College London).